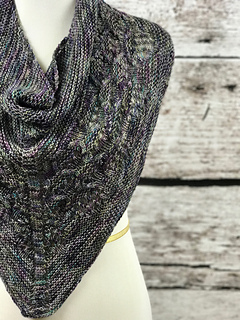 Duvessa is a beautiful cable & lace cowlette with garter stitch details. 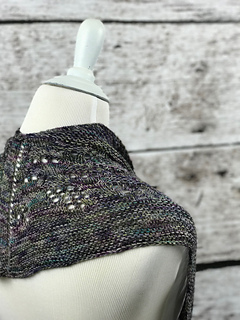 The piece starts by working a traditional top-down triangle shawl in garter stitch. 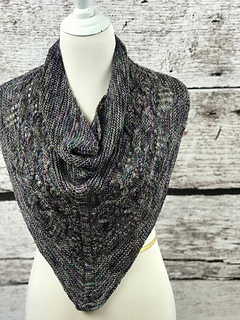 To cowl-i-fy it, it’s then joined in the round for the cable and lace portion. 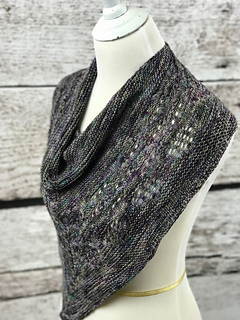 It’s a triangle shawl that won’t fall off! Want to make your cowlette bigger? No problem! Repeat charts A & B as many times as you like, ending with chart B. 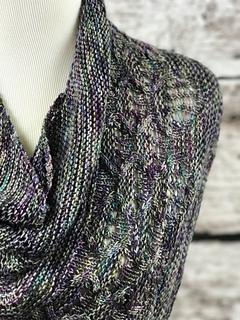 You can also work additional rounds of the ending garter stitch section. Remember, making your cowlette bigger will affect the amount of yarn needed.